New WWF report shows EU protected areas at risk due to lack of proper implementation of EU laws, series of wrongdoings by member states, and legal actions started by the Commission. It also illustrates the importance of nature protection and sustainable development going hand in hand. The European Commission recently confirmed that the EU Birds and Habitats Directives were Europe’s strongest conservation legislation and committed to further improve their effectiveness. 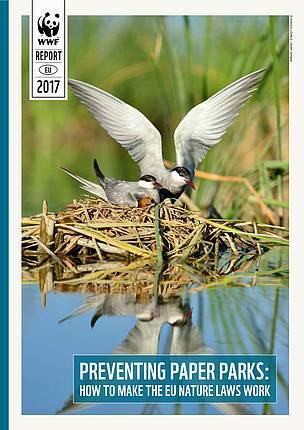 WWF’s new report “Preventing paper parks: How to make the EU nature laws work” offers a good overview of the main problems on the ground and effective solutions to put them right.